Another night, another Kensington Palace lecture. 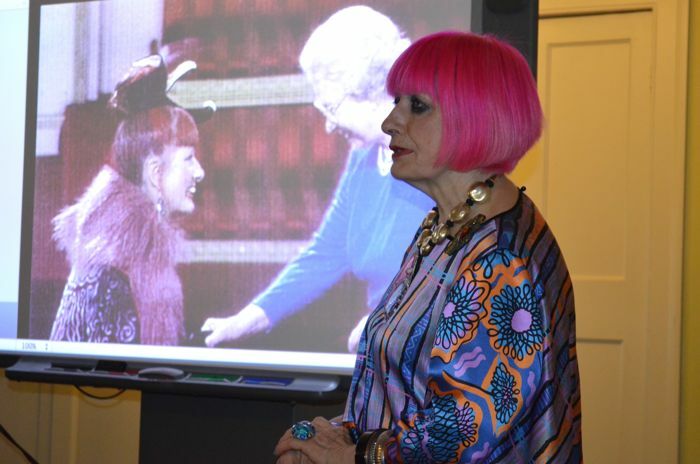 This time I had the good fortune to listen to the incredible Zandra Rhodes speak about her career as a fashion designer. Rhodes has dressed some of the most influential fashion icons: Princess Margaret, Princess Diana, Bianca Jagger, Sarah Jessica Parker and the list goes on. 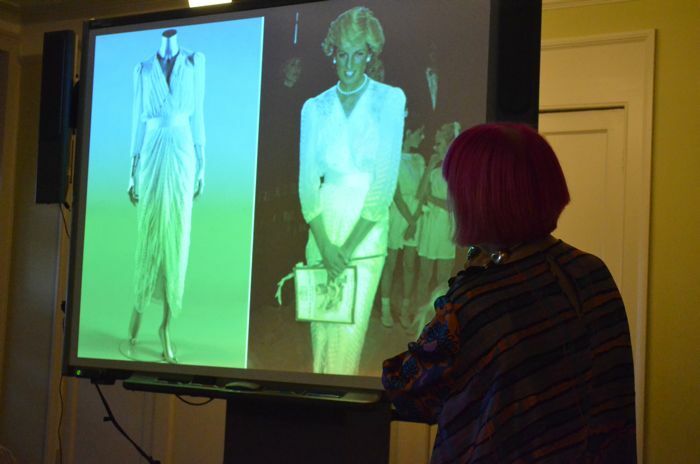 Rhodes also has a connection with and an influence on many designers. Manolo Blahnik featured his first collection in one of Rhodes' runway shows, Philip Treacy and Matthew Williamson interned for her, and John Galliano's naked dress concept was inspired by her. Rhodes has had a lifelong love affair with textiles, and, in fact, she started her career making them. When she creates textiles, she does not think about colors first. Rather, she designs the pattern and then inputs colors second. In the beginning of her career after she had been making and trying to sell her textiles for some time, a friend recommended that she visit Emilio Pucci and work with him. But upon seeing her textile creations, he replied, "You should design in black and white." Shortly thereafter, she shifted her focus on not just textiles, but also on designing garments -- a much more successful endeavor. One of her first big breaks with her clothing line involved the U.S. edition of Vogue. A friend told her that she could make a fortune selling her clothes in America, and so Rhodes made a collection for U.S. Vogue. The magazine featured this collection and Rhodes' clothes began selling quite well. 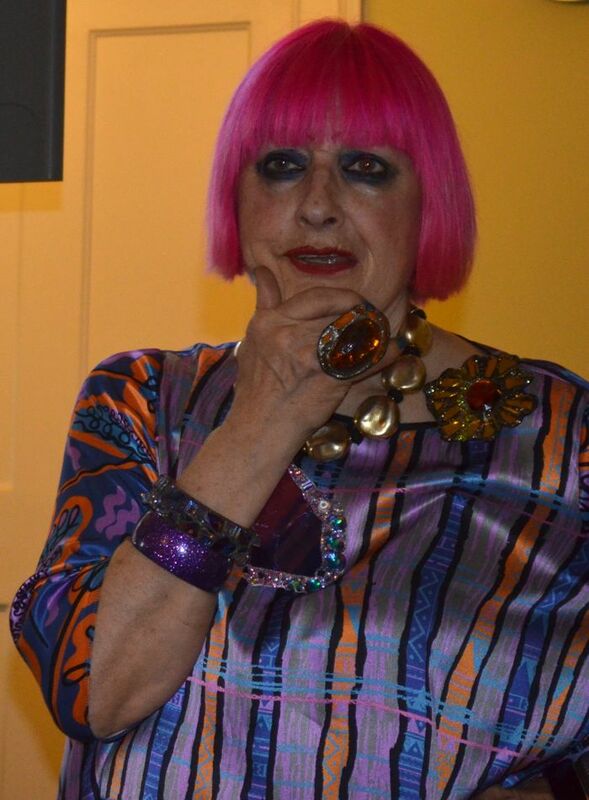 Eventually, Rhodes became known for what she calls, "Conceptual Chic," which is what many of us would term, "Punk." Two of her pieces are featured in The Met's, "Punk: Chaos to Couture exhibit." It was such a treat to spend the evening with such a talented fashion designer!